Upbeat and urbane, the sophisticated Jude introduces a lighthearted note to the contemporary environment. 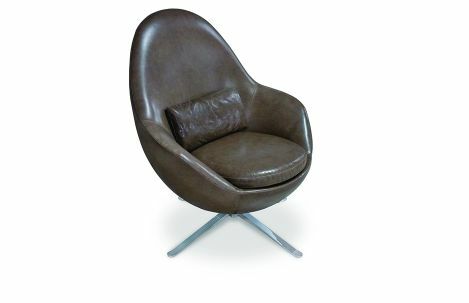 This swivel chair offers sassy modern lines for easy-going charm and an ample seat for comfort. Add one to make a high-spirited decorating statement, or place two opposite a sofa to create an instant guest-friendly conversation pit.